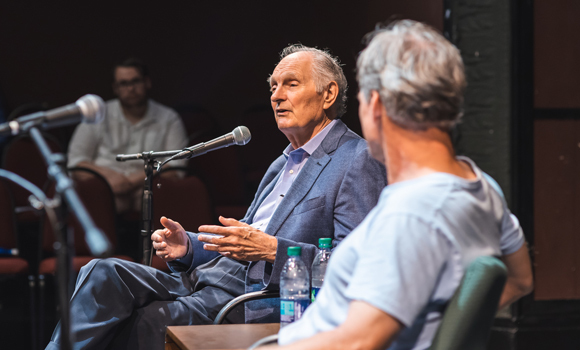 Alan Alda discusses the importance of empathy and communication in acting to an audience of theatre students and faculty in Sprinkle Theatre Sept. 21. UNC Greensboro students, faculty and staff received a master class in communication from storied actor, writer, director and master communicator Alan Alda Sept. 21. Over a series of talks on campus, Alda shared insights on the importance, challenges and magic of effective communication. At the heart of each discussion was a simple but profound concept: cultivating empathy is the key to improving every facet of our lives, from communicating complex concepts to maintaining healthy relationships. 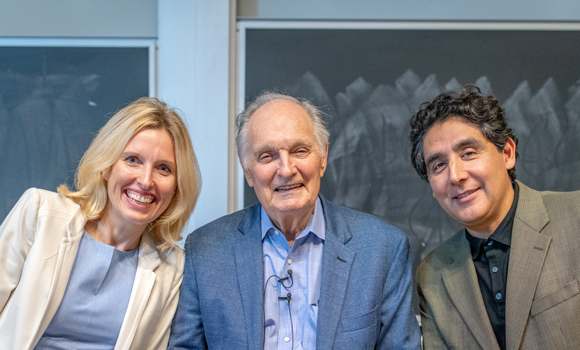 UNCG chemistry professor Dr. Nadja Cech (left) and UNCG history professor Dr. Omar Ali (right) pose for a photo with Alan Alda after the Dialogue Across Disciplines event. 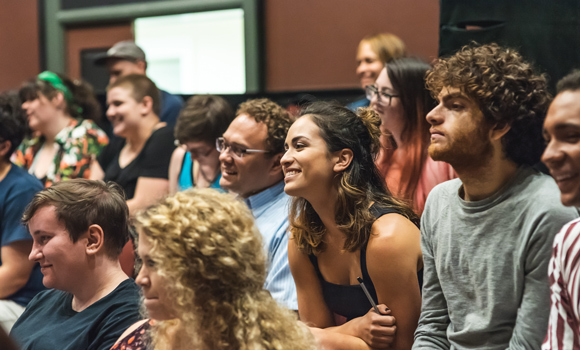 Later, Alda met theatre students and faculty in the Sprinkle Theatre for a Question and Answer Colloquium with theatre professor Michael Flannery. The theme of empathy continued to resonate, especially in regard to making a performance seem authentic and spontaneous. 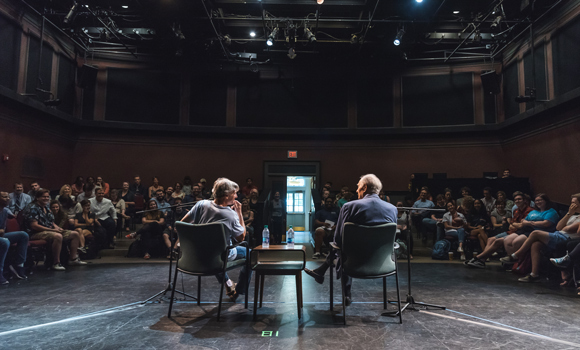 UNCG theatre professor Michael Flannery (left) and Alan Alda during the Question and Answer Colloquium in Sprinkle Theatre. Alda’s blend of witty wisdom and sincerity reached many students, who, between bouts of laughter, asked penetrating questions about the actor’s craft and the power of empathy. UNCG students and faculty during Alan Alda’s Question and Answer Colloquium in Sprinkle Theatre. 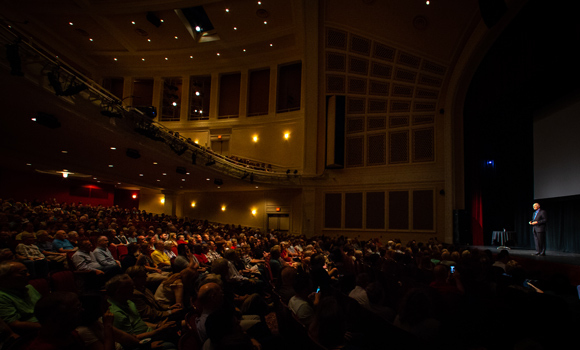 That evening, Alda continued the conversation in the UNCG Auditorium (as part of the 2018-19 University Concert and Lecture Series), further explaining what makes the out-of-the-box techniques he developed after his years as the host of “Scientific American Frontiers” so effective. Alan Alda speaks to a packed house at UNCG Auditorium. See more highlights from Alda’s visit in the video below.